Moliere the 16th century French actor and playwright is considered by many to be the great master of French Farce, a genre who’s aim is to entertain through situations that are highly exaggerated, extravagant and as such, improbable. French Farce is also characterised by the use of deliberate absurdity and nonsense. French rugby president Bernard Laporte may well have taken over the crown from the 16th century genius with his matinee performances this week. On the other hand it appears that comedy is turning to tragedy on the other side of the channel. The French Rugby Federation has replaced head coach Guy Novès after less than two years in charge, with Bordeaux-Bègles’ Jacques Brunel. Former Italy coach Brunel, will become France head coach after taking Bordeaux on this weekend’s Top 14 trip to Stade Francais, FFR president Bernard Laporte told a press conference last Wednesday. 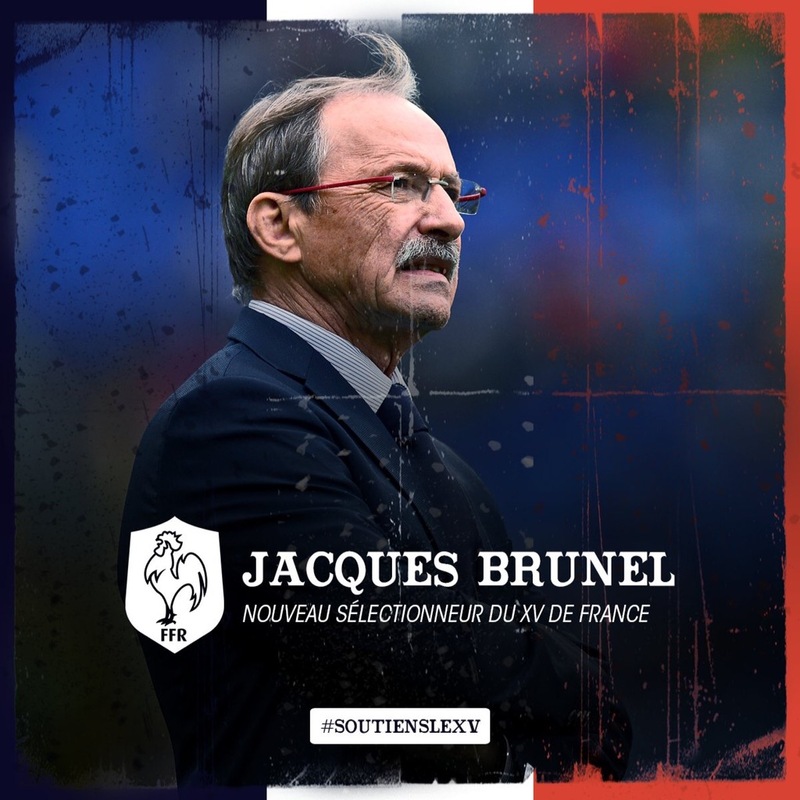 The decision means that Novès has become the first-ever head coach of the French national rugby side to lose his job, with 63-year-old Brunel signing on through to the end of the 2019 World Cup in Japan. The writing was on the wall after the 2017 November internationals capped a run of six defeats and a draw against Japan. His record in charge of France stands at seven wins, 13 defeats and a draw in 22 matches. “It’s a painful situation for Guy and also for us,” Laporte admitted, as he thanked the former Toulouse coach, who won 10 French domestic titles and four European Cups in 22 years in charge at Stade Ernest Wallon. 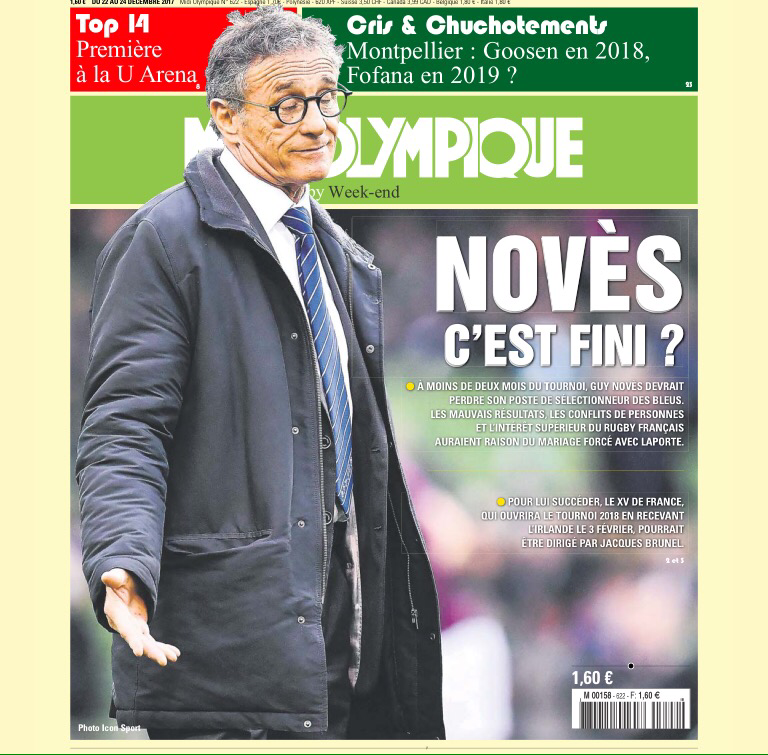 Although the FFR president confirmed that Yannick Bru and Jean-Frédéric Dubois have also been shown the door as part of a major coaching clear-out, he insisted that no decision had been taken as to who will replace them. “He [Brunel] will decide his own staff,” Laporte told journalists. Several Top 14 coaches have been linked to staff jobs in the national set-up in recent days, as speculation surrounding Novès’ future in the France hotseat intensified. Names mentioned included Toulon’s Fabien Galthie, Clermont’s Franck Azema and La Rochelle’s Patrice Collazo. Galthie and Azema have since publicly taken themselves out of contention for jobs under Brunel. “Top 14 coaches …. will come together before each tournament,” added Laporte. “They will sit around a table to exchange ideas and involve everyone around the national side. And in a Final act where farce and tragedy combine, Just hours after Laporte’s compassionate remarks about Noves, all three coaches received a registered letter informing them that they were subject to dismissal procedures for serious misconduct, which if successful would allow the Federation de rugby Francais to avoid paying them any compensation, which would cost an estimated two to three million euros. This latest farce is set for an extended run in Paris during 2018 with a full cast of expensive lawyers and interspersed with some 6 Nations rugby.